Welcome back, Nicole. What are some of the spiritual themes you like to write about? My theme is It’s all about choices! I work to prepare teens to make wise decisions before they find themselves in pressure-filled situations. I do this through YA fiction as well as some teen and parenting non-fiction. I’m also the host of Teen Talk Radio where special guests and I talk about the tough issues—and some fun things, too. At this point in our country’s history, I’d really like to sit down with the framers of the constitution and get some confirmation on their original intent. Believe me, I’d record the meeting. I think all of the sage advice has been given about the famous people who received hundreds of rejections before being published. Wasn’t it Steven King who nailed his rejection letters to a railroad tie, which he hung on his wall? I have no idea why he did that, but it is interesting. Have you received a lot of rejection letters? All kidding aside, I think the best thing an author can do is to spend some time in prayer. Ask the Lord for reminders of why you’re doing what you’re doing. If you feel His urge to continue, then rejection letters shouldn’t matter because you’ve already received the best book deal imaginable in the form of the Lord’s calling and blessing. The Diamond Estates Series. Three girls are on a journey to find hope and healing. Each coming to Diamond Estates seeking solace… Each with her own unique set of struggles… And each capturing hearts and challenging the faith of teen girls. In book one, THE WISHING PEARL, sixteen-year-old Olivia Mansfield dreams of a land far, far away. . .
A land far away from her stepfather’s abuse and torment. A land far away from her mother’s blind eye. A land far away from the haunting memories of her past. But then reality sets in, and Olivia knows she must make the best of her dire situation—at least until her high-school graduation. But when poor choices lead Olivia to the brink of a complete breakdown and she finds herself dealing with the unexpected death of her best friend, she comes to a crossroads. Will Olivia find the path to ultimate hope and healing that her heart longs for? Or will the demons from her past prove too much to bear? Even the happiest of songs could sound mournful on the oboe when they’re played just right. Olivia Mansfield pulled the instrument from between her lips and traced her fingers along the silver tracks and keys that reminded her of the braces she wore on her teeth last year. The oboe understood her. It sang her somber song. Melancholy and forlorn, her band director once called it. Perfect words to describe its cry and Olivia. Buzz. Olivia jumped as the intercom in her bedroom suite intruded. “Are you almost done with that incessant noise?” barked a crackling voice. Five more minutes had been the plan—but not anymore. She hurried to the wall and jabbed the TALK button. “I’ll be at least another half hour, Chuck.” Charles hated when Olivia called him that, almost as much as he hated the sound of the oboe. Which wasn’t nearly as much as he hated her. “Well, hurry up.” The speaker clicked and fell silent. time he came near. She could wait and practice later when he wasn’t home, but why should she? Only two more years of high-school band and then, hopefully, a prestigious music school somewhere very far away. Making that dream come true required practice—lots of it. It wasn’t her fault Charles couldn’t tolerate the sound. My website and the home of Choose NOW Minstries is located at either www.choose-now.com or www.nicoleodell.com. I have two blogs there—one for teens and one for parents—and links to all the fun social stuff as well as a newsletter sign up. You can also learn more about Teen Talk Radio at www.choicesradio.com or on iTunes. Also, I have to let you in on a little secret. On October 1st, I’ll be launching THE WISHING PEARL EXTRAVAGANZA on my site. Here’s a direct link that will be active that morning: http://nicoleodell.com/?p=3976 You won’t believe the giveaways that will be happening all month long including the grand prize of a Kindle pre-loaded with all of my books! 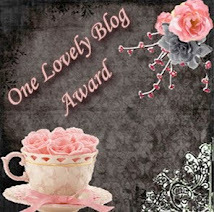 Thanks so much for having me on your awesome blog, Lena! It is my pleasure, Nicole. You are doing a marvelous thing with your books. Today, I have a guest blogger interviewing me about my newest release, Maggie’s Journey. Thank you for helping me, Lee Carver. Lee: Please tell us something about this new trilogy, and then specifically about Maggie's Journey. My McKenna’s Daughters Series is about identical triplets, who were born on one of the last wagon trains on the Oregon Trail. Shortly after giving birth, their mother dies. They are separated and grow up in different places on the west coast. Only near their 18th birthdays do they discover they have sisters. Maggie had been adopted by a family that ended up being wealthy merchants in Seattle, Washington Territory. Her journey to find the truth about herself also brought a man into her life who loved her for who she really was. Lee: No doubt you are often asked where you get ideas for more and more novels. Was there any particular stimulus for this trilogy? God gave me the idea for the stories several years ago, and they percolated in my brain for all that time before the series was contracted. Lee: I enjoyed Love Finds You in Golden, New Mexico, so much. That's a hard act to follow. Is Maggie's Journey better classified as historical romance or maybe historical women's fiction? It is classified as a historical romance, but there are deeper elements that could put it into the women’s fiction/romance category. Lee: How similar are the young protagonists in this coming trilogy? Of course, they look alike and share some similar characteristics, they are also a product of their environment, so there are also differences. Lee: Your books are well-researched. You make a huge effort to be authentic for the year and setting. What was the most difficult thing you had to research for this manuscript? I was having a hard time actually picturing Seattle in 1885, but I contacted the Seattle Public Library. The research librarian gave me a link to a website where the library had digitized historical photographs by decade. Thousands of them. I was able to construct the neighborhoods and business district utilizing the actual businesses, street names, and even see what the buildings looked like. A real goldmine of information. Lee: Lena, your mother died when you were very young. Does your heroine reflect some of the pain you experienced as a child? Yes, some of the things I experienced help me understand how Maggie felt when she found out she was adopted. Lee: Multiple births are much more common now as a result of infertility treatments. How rare were triplets in the era of your novel, and do you have any numbers on the survival rates for mother and children then? I don’t have actual statistics, but triplets did occur, and some of them lived long lives. I chose to go with that information. Lee: Putting together a trilogy must require a lot of advance planning. Do you advise your fans to read them in order, or will they stand alone as independent novels? Actually, it probably would be better to read them in order, even though each book is a complete story. Because of the progression of the series, reading them out of order will give away things you probably wish you didn’t know before you read the first books. Lee: Will your latest novels be available in e-book format? If so, how soon? The book is available for download right now on Kindle. I’m not sure when the other formats will be available. Lee: What is your highest hope for your novels as they are read throughout the world? I want readers to be entertained. And I want them to see how God’s plans are higher than our plans. They can trust Him in their dilemmas just as He worked in the lives of my characters. Lee: May your efforts be successful. I wish you excellent sales, knowing that readers are blessed with entertainment and a touching spiritual experience with each book. Thank you, Lee, for leading this discussion. Margaret Lenora Caine sat in the library of their mansion on Beacon Hill. Because of the view of Puget Sound which she loved, she had the brocade draperies pulled back to let the early September sunshine bathe the room with warmth. Basking in the bright light, she concentrated on the sketch pad balanced on her lap. After leaning back to get the full effect of the drawing, she reached a finger to smudge the shadows between the folds of the skirt. With a neckline that revealed the shoulders, but still maintained complete modesty, this dress was her best design so far. One she planned to have Mrs. Murdock create in that dreamy, shimmery green material that came in the last shipment from China. Maggie knew silk was usually a summer fabric, but with it woven into a heavier brocade satin, it would be just right for her eighteenth birthday party. And with a few changes to the design, she could have another dress created as well. Once again, she leaned forward and drew a furbelow around the hem, shading it carefully to show depth. The added weight of the extra fabric would help the skirt maintain its shape, providing a pleasing silhouette at any ball. She pictured herself wearing the beautiful green dress, whirling in the arms of her partner, whoever he was. Maybe someone like Charles Stanton, since she’d admired him for several years, and he was so handsome. The harsh question broke Maggie’s concentration. The charcoal in her hand slipped, slashing an ugly smear across the sketch. She glanced at her mother standing in the doorway, her arms crossed over her bosom. Maggie heaved a sigh loud enough to reach the entrance, and her mother’s eyebrows arched so quickly Maggie wanted to laugh … almost, but she didn’t dare add to whatever was bothering Mother now. Her stomach began to churn, a thoroughly uncomfortable sensation. Lately, everything she did put Mother in a bad mood. She searched her mind for whatever could have set her off this time. She came up with nothing, so she pasted a smile across her face. 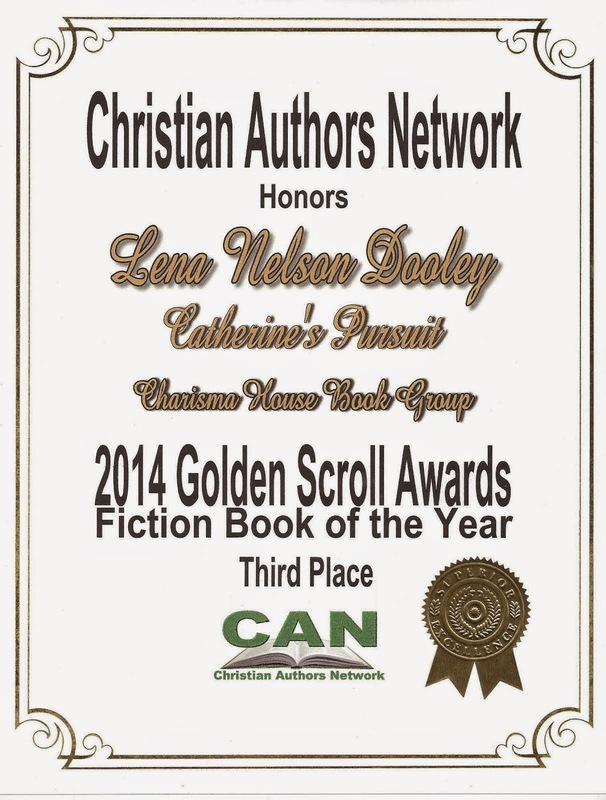 I have just returned from the American Christian Fiction Writers national conference in St Louis. While I was there the Romantic Times Book Reviews magazine arrived at the hotel. Maggie's Journey received this 4-star review. 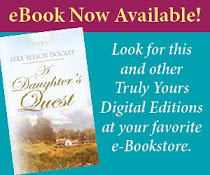 Dooley begins the McKenna's Daughters series with lovable characters finding out that who they thought they are is not really who they are. 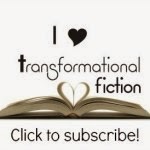 Readers are a part of the characters' journey to discover the truth. 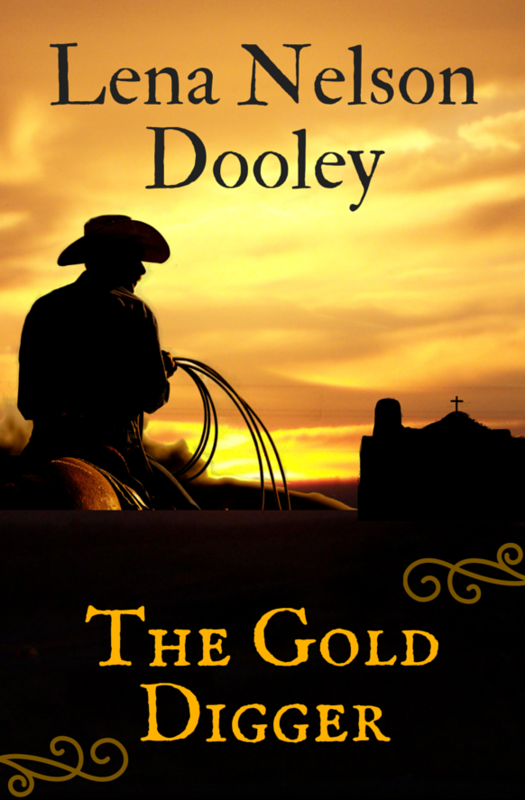 Dooley is a wonderful author who brings her characters to life. Readers, here are links to the book. By using it when you order, you help support this blog. I've known Diane for a long time. I'm glad to welcome her to the blog. Tell us how much of yourself you write into your characters. I think anyone who knows me will hear traces of my voice in my books. And while I’m not Annie in The Runaway Pastor’s Wife, there’s a lot of me in her. I think it’s our life experiences that make the best writing, so I’ll always surface in one character or another. When I was in my mid-twenties, I was a turtle dove in a Christmas program at our church—in full bird-costume glory. Quirky must be a good look for me because the partridge in the pear tree proposed and we got married. Senior year of high school. My Creative Writing teacher, Mrs. Bullock, told me I had “quite a gift.” For a freckle-faced redhead who'd never been a stand-out in anything, I was thrilled. I only wish I’d listened to her and stayed with it. But in this “second chapter” of my life, it’s been such a blast to rediscover this long-forgotten passion. Show me a bookshelf and I’ll always reach first for a well-written novel with colorful, interesting characters. I steer clear of vulgar language or graphic writing, so I lean more toward Christian fiction. I also enjoy biographies and inspirational books by those who’ve walked the walk. Nicole Johnson’s Fresh-Brewed Life is my all-time favorite in that category. I tune out that run, run, run philosophy and make sure I start the day on my knees in prayer. It’s amazing how quickly the world and its antics fade into the background when you start your day with Him. Good question. I have no idea! They just seem to name themselves. I like to stay away from weird or bizarre names because as a reader, I don’t like being tripped up page after page with names I can’t pronounce. But that’s just me. My marriage of thirty years to the love of my life and our two amazing kids. They’re both grown and successful and happy. Pretty darn proud of both of them! Well, I do have this thing for flying pigs and what they represent. But there’s just something wrong with thinking of oneself as a form of pork, don’t you think? You didn’t leave me enough space here, Lena! But if I have to narrow it down to just one, I suppose it would be exceptionally good Mexican food. No, wait. My cheesecake. Although my grandmother’s carrot cake is legendary . . . The Gatekeepers – traditional publishers, editors, and agents. For almost fifteen years, I played the game, spent thousands of dollars I didn’t have going to conferences, submitting my brains out, only to receive those lovely rejection letters over and over. I had to have their approval, their “legitimacy” to be a published author, right? No! This year I discovered the New World of self-publishing and proved them all wrong. I’ve never had so much fun in all my life! I’ve been in the top five Christian fiction bestsellers on Kindle for almost a month now, often in that coveted #1 slot. Every day I watch my sales numbers soar. If readers buy and love my books, doesn’t THAT make me a successful author? Just sayin’ . . . The Runaway Pastor’s Wife actually evolved from a series of counseling sessions. I was in full-blown menopause hell when my husband lost his job on staff at a large metropolitan church in Florida. He handled it with so much grace. Me? Not so much. Long story short, my counselor knew I loved to write and suggested I start writing a book as a form of therapy. Almost without thought, the plotline came to me: a pastor’s wife who runs away from home . . . Since the book came out, I’ve lost count of how many pastors’ wives have told me they’d had that urge many, many times. Fascinating. I guess God needed me to write for them too. There’s a Prologue that takes a peek back into Annie’s past, but I chose to give you the first page of Chapter 1 instead. Annie bristled. “Fran, I know it’s short notice. Something has come up and I simply can’t make it to Bible study this morning.” Glancing over her shoulder, she merged into the flow of traffic entering the Tampa International Airport, irritated at the obstinacy on the other end of the line. Didn’t “assistant” mean you assisted when necessary? Here we go again. All the questions. The constant prying. Why does everyone think they’re entitled to know my every thought and action? Annie took a deep breath, willing herself to calm down. Fran wasn’t a beast. She meant well. “Look Fran, I can’t be there. Can we just leave it at that?” She cringed at the hypocritical tone of her own voice. She snapped the phone off and tossed it toward her purse in the passenger seat. Annie bit her lower lip to dam the flood of tears, desperate to keep her appearance intact until she walked through the door of Christine’s cabin in Colorado. Catching her reflection in the rearview mirror, she was startled by the angry woman looking back at her. Tiny red lines laced roadmaps across tired brown eyes, normally warm and smiling. With her thick hair pulled back into a long pony tail, her face looked pale despite an earlier dash of make-up, her lips pinched in an absurd scowl. Disgusted, she muttered a growl and pressed her foot harder against the accelerator as she flew through the ribbons of traffic approaching the airport terminals. Seated on the plane two hours later, Annie reached into her purse to turn off her cell phone. The special cell pocket was empty. She panicked, digging through the rest of her bag. Nothing. Mentally back-tracking her morning, her shoulders sagged in disbelief when she remembered tossing it toward her purse in the van, but apparently not into her purse. The tiny gadget was most likely resting between the passenger seat and door. Wow! I can't wait to get my copy. How can readers find you on the Internet? Thank you, Diane, for the interesting visit. I've been eagerly awaiting the release of this novel. I was privileged to read the manuscript for endorsement. It's a marvelous read. Welcome, Jennifer. Why do you write the kind of books you do? I write what I enjoy reading, historical Christian fiction. I prefer a variety of settings in America and Europe, as well as time periods from medieval to the 1950’s. It’s a tie between the day we were married and our daughter was born. I spend a lot more time writing because now I have deadlines. People think of me as an author, not someone chasing an impossible dream as some did before. Also, I spend lots of time on promotion. A Hope Undaunted by Julie Lessman and Mine is the Night by Liz Curtis Higgs. A Quaker historical set in 1858 North Carolina. It’s called A Path of Promise. An extended trip to Europe where I could visit all the historical sites and famous places of England, Scotland, Wales and Ireland. It depends. Sometimes I get an idea for a story and I know exactly where I’d like it to be set. Other times, I have to research different places until I find something that fits with the storyline, time period and events that might take place. Billy Graham. I’ve always enjoyed his ministry and he comes from a generation that is slowly leaving us. Long walks, bike riding, ice skating, traveling when the opportunity affords itself, and visiting historical sites. Time—I just keep working to make more time. Gavin MacKenzie, a chieftain heir who is hired to restore the ancient Castle of Braigh, discovers a hidden village of outcasts who have created their own private sanctuary from the world. Among them is Serena Boyd, a mysterious and comely lass, who captures Gavin’s heart in spite of harboring a deadly past that could destroy her future. The villagers happen to be keeping an intriguing secret as well. When a fierce enemy launches an attack against them, greed leads to bitter betrayal. As Gavin prepares a defense, the villagers unite in a bold act of faith, showing how God’s love is more powerful than any human force on earth. The ordeal over, fragmented tremors still quaked through Evelina Broderwick's body. She gazed down at her new daughter. Now, she'd finally have someone who would truly love her. Tiny fingers curled. Evelina marveled at the wee nails. The other hand tightened into a fist and flew into the bairn’s mouth as she sucked on her knuckles. “She’s beautiful is she not?” Tears clouded Evelina’s vision, overwhelming her by the magnitude of God’s gift of life. The bedchamber door swung open, casting dim light from the hallway candles. The shadow of a man’s tall frame bounced on the dark pine walls. Evelina tensed as her husband, Devlin Broderwick strode in with his usual frown. A dent marred his forehead. He towered over the bedside. The midwife followed him and stood at the foot of the bed, folding her hands in front of her. The woman appeared to be in her mid-fifties, personally chosen by Devlin and quite loyal to the Broderwick family. Her dark gaze traveled from Evelina to Gunna and down at the infant. “I’ve heard the unfortunate news.” Devlin’s sharp tone cut through the room like a blade through a gentle lamb. Thank you, Jennifer, for sharing this with us. I've really been looking forward to featuring Randy and John with this e-book release. Welcome, Randy and John. I know that this is a collaboration. How did this story come about? Funny you should ask. The new version of Oxygen, published as an e-book o September 28, has an entire appendix on how we started working together. The short version is that I was trying to persuade John that he should pick just one novel and focus on that until he finished it. And he agreed to that—if I’d coauthor the book with him. His story had a great premise. Four astronauts are on the first manned mission to Mars when an explosion leaves them with only enough oxygen for one. So I jumped at the chance. Yes and no. 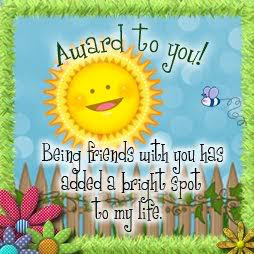 We’ve always been great friends (must be that nerd-herding instinct) but friendship is not enough to get the typing done. We had a short deadline and we had to learn how to work efficiently so that the story got written in time. Editing was not so hard, but getting the first draft down takes time. We found that each of us had certain strengths, and we learned to play to both of those strengths. It helped make me a better team player. Up to that time, I’d generally worked as a lone wolf. Once we signed the deal, I had a legal contract that said I had to collaborate with somebody else and work to a fixed deadline. John was much better at that sort of thing than I am. He works best in a group. So I learned a lot from him about that. Scheduling can be tricky. We found that we could write two scenes in a day if I wrote one in the morning and emailed it to him so he could write the next scene in the evening. It absolutely positively never works to try to have both of you write a scene in the evening without seeing the other guy’s work first. Don’t try this at home. Not even the pros can make this work. TWITTER POWER, by Joel Comm. I’m ashamed to say this, since I’ve not been a huge fan of Twitter. Also I have a large stack of novels on my iPad that I’m supposed to be reading for endorsement. All of the authors who’ve asked me for an endorsement lately know that my life is so frenetic right now that the odds are low that I’ll be able to read them before deadline. I have Tosca Lee’s unsold novel ISCARIOT sitting on my hard drive awaiting my critique. I have special expertise in first-century Jewish history, so I’ve enjoyed talking with Tosca about her book for the last two and a half years. Our main characters are named Valkerie and Bob. Valkerie is a hot young woman with a Ph.D. in microbial ecology, and the name Valkerie seems to fit her pretty well. She’s adventurous and strong and confident. Whereas Bob is just Bob. He’s very competent at fixing things, but he’s not that good at social things, such as making small talk or figuring out what women want. He’s maybe not the guy you’d want to go out with on a hot date, but he most definitely is the kind of guy you’d want to be married to for fifty or sixty years, because he’s as solid as they come. Bob is not flashy, but he’d die for the woman he loves in a heartbeat. Absolutely. We’ve been trying for the last ten years to find another project that we could work on. The main problem is that it’s hard enough to make a decent wage when you’re writing a book all by yourself. When you have to work twice as hard and get paid half as much, that makes it that much harder to justify the time spent away from important things like your job, your family, and your cat-ironing habit. What do you want to tell us about the book? Oxygen is an extremely fast-paced novel in which four people have to decide how to live when they know that three of them have to die if one of them is going to have any chance at all of living. Situations like that bring out the best and worst in people. There are some people who’ll slit your throat to save their own skin. And there are others who’ll sacrifice themselves so that you can live. I’ll let you guess which kind is more pleasant to hang around with. Valkerie woke up screaming. A viper bat clung to her face with fishhook claws, smothering her with its thin, leathery body. She tore at her face, but the creature had dug in too deep. She could already feel its venom burning into her lungs, constricting her chest in a long, convulsive cough. Struggling for control, she traced the contours of her face with tingling fingertips. Slowly, the clinging creature melted into her skin, fading back into the world of dreams. The nightmare gradually faded, giving way to a new, more gripping terror. Valkerie was wide awake now. There was no such thing as a viper bat. But she still couldn’t breathe. Valkerie flung herself from the camping cot and thudded to the floor. She lay on her back, gasping for breath. She was hyperventilating, but the burning in her lungs grew worse. An acrid stench filled the cabin—the smell of sulfur dioxide—SO2. No… Valkerie rolled over and fought her way up onto her hands and knees. This couldn’t be happening. The volcano couldn’t be venting. It was supposed to be dormant. Sleeping like a baby. Dim red light filtered in through the cabin window, illuminating a large duffel bag in the middle of the room. She crawled slowly toward the bag, struggling through the coughs that wracked her body. Squeezing her eyes shut against the pain in her cramping muscles, Valkerie inched forward until she felt the heavy canvas. She dug underneath a metallic thermal suit and pressed her breather to her face. Her lungs choked shut at the rush of acidic gas. Idiot! She flung the mask across the room. Gina-Marie had warned her about the filter, but Valkerie had insisted it would be good for one more trip. Her mind raced. If Mount Trident was venting, the whole valley could be filled with sulfur dioxide. She had to get out of there. Fast. Valkerie tried to stand, but the room spun out of control. She crashed onto the floor, hitting her head hard on the edge of the cot. A cloud of ringing light sparkled in her mind. Her muscles relaxed, and she gave herself to the tide of darkness that washed gently across her senses. Sleep. No more experiments. Sleep. An image crept into her mind. A large plastic bag filled with new sample tubes. Was it still sealed? She couldn’t remember. Groping her way forward, Valkerie swept her hands across the floor. A smooth surface crinkled at her touch. She lunged at the bag, poked a trembling finger through the heavy plastic, and pressed her lips to the hole. The air tingled in her lungs with burning sweetness. She curled around the bag, hugging it to her body, breathing life through the ragged wound. Gradually, the needles that prickled at her consciousness started to recede, but she knew it wouldn’t last. The air in the bag was getting stale. Valkerie took one last breath and staggered to her feet. Her jeep! It was just outside. She lurched to the cabin door and pushed her way out into the night. The air hit her in the face like a blast of hot tear gas. Gagging on the foul gases, she stumbled blindly forward, clinging to consciousness. Heaving herself into the seat of the jeep, she turned the key. The starter whirred and the engine coughed to life, but then died immediately. Idiot! Valkerie smashed her fist against the dash. The jeep couldn’t run without oxygen any more than she could. I started to read Oxygen on the curb at the airport, waiting for my husband last night. If I hadn't gone to bed so late at conference Saturday night, I would have stayed up reading more before I fell into bed last night. Where can our readers find you on the Internet? 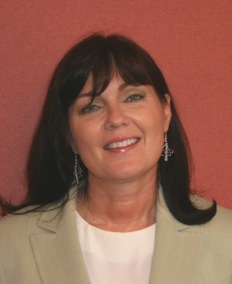 Our independent publishing company is named DitDat, Inc. and lives at www.DitDat.com. 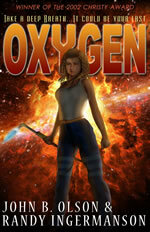 The official web page for Oxygen is at www.DitDat.com/books/Oxygen. 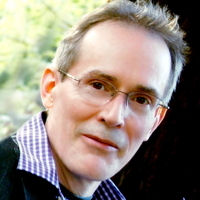 John’s personal web site is at www.Litany.com. My personal web site is www.Ingermanson.com, and my web site geared for teaching people how to write fiction is at www.AdvancedFictionWriting.com. The Facebook fan page for Oxygen is at www.facebook.com/OxygenFans . 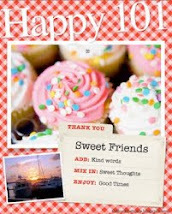 Thank you so much for visiting my blog, Randy and John. I'm thrilled to have two of my favorite people on the blog today. Welcome, Debby and Trish. How did your story for the collection come about? Debby: Trish and I wanted to write a generational anthology for Summerside, so we brainstormed ideas. North Carolina is such a beautiful state with a rich history and people who love to share what they know, making the research fun and interesting. After we presented the idea to Summerside through our agent Tamela Hancock Murray, we expected to have to wait at least a year to hear back. We were pleasantly surprised to find out that what we proposed was exactly what our editor was looking for. Trish: Yes, it was such a blessing the way that all played out. And Debby was the one who came up with the setting. She visited Cary, NC and sent me pictures so we could both have a good feel for where our stories took place. Debby: There are several connections. Trish’s heroine is related to mine, the family home plays an important part in both stories, and an important event happens on Christmas morning. Trish: One fun connection came about without our planning it. Both of our heroes turned to our heroines for help in decorating and furnishing the family home. So the creative bent trickled down through the generations without our even thinking about it. Debby: I just finished The Help, and now I’m reading Kristin Billerbeck’s A Billion Reasons Why. These books are very different, but I love both of them. Trish: Oh, I loved The Help. I just finished Dan Walsh’s shipwreck novel, The Deepest Waters, and am now reading one of Wanda Dyson’s older novels, Shepherd’s Fall (a suspense novel). As Debby says, both books differ quite a bit from each other, but I’ve thoroughly enjoyed reading them! I don't read a lot of fiction that's not published by Christian publishers, but I did read The Help. I found it very interesting. I actually lived through that time. How many other books have you had published? Debby: I’ve had more than 30 books and novellas published, with 3 more books coming out in 2013. Trish: I have nowhere near the experience Debby does! I’ve published nine romances, most of which have a thread of comedy running throughout them. Debby: Working on a collection isn’t hard, as long as both people are willing to share and accept ideas from each other. This was a joy to do with Trish. Trish: Ditto! I think it would be far more difficult to write a single novel with another writer, just because I can’t imagine trying to work the logistics out. But a collection of separate but connected novels can be great fun, as this was. I’m ready to write more of these! Debby: Trish and I were already friends, so it gave us the opportunity (and excuse) to chat even more. Trish: Yes, Debby and I have actually pitched ideas for a few more collaborative efforts. I hope one or more of them will come to fruition someday! Debby: My story, “Deck the Halls” set in 1926, is about a wealthy farmer falling in love with a woman from the “wrong side of the tracks.” I want readers to enjoy going on a journey with these people as they both realize nothing is as it seems, and they have more in common than they initially realize. Trish: My story, “’Tis the Season,” is contemporary, about a young woman who accepts a lucrative job as personal chef to an eccentric billionaire back in her hometown, hoping to buy back the family home she so loves. She loses that opportunity when the house is sold to the one man who has also managed to steal her heart. Besides feeling entertained, I hope my readers get a good grasp of how important emotional transparency can be in relationships, if you want them to be healthy and loving. Lillian Pickard shifted from one foot to the other to take some of the load off her aching feet. There always seemed to be one customer who lingered at the end of the long day, keeping Lillian from locking up Joachim’s Five and Dime and going home. She took a couple of deep breaths and tried to remain pleasant as Mrs. Gooch carried her handheld basket of odds and ends to the counter. As soon as Mrs. Gooch made her exit, Lillian scurried to the door and locked it, just in case anyone had the notion to walk in. She counted the money in the cash drawer, tucked it inside the deposit envelope, and slid the envelope into the slot on the side of the safe. Finally she was ready to leave for home. The tiny house she shared with her parents was less than a half mile away, but on evenings like this, it might as well have been ten miles. Her feet throbbed and her mind raced over all the things she still needed to do when she got home. Her daddy’s factory injury five years ago had rendered him incapable of working most of the jobs he was qualified for. He’d needed Lillian’s mama nearby to take care of him in the earlier days, so it had been up to Lillian to support the family. She didn’t mind at first, but as time went on, it became painfully obvious that her lot in life wasn’t what she’d always wanted. She heard the rumble of an automobile coming toward her, so she jumped back, closer to the building. She turned to see which of the rich people were out riding around. There weren’t many automobiles in Cary, North Carolina, and it was after business hours, so Lillian assumed it was someone showing off. She only hesitated for a few seconds before deciding that taking him up on his offer was much better than getting drenched. As she stepped up into the automobile, her ankle wobbled. “Whoa there, Miss Pickard.” He leaned across the seat, opened the car door from the inside, and reached for her hand, which she gave without a second’s hesitation. He pulled her up to the seat and quickly let go. She saw him fight against the twitch of a smile. “But?” She crossed her arms. She adored this old man and had taken so little time to settle into her fond banter with him once she joined the staff in his spacious Cary, North Carolina, mansion almost a year ago. She frowned. “Odd fellow. No. What do you mean he made off with—oh, you mean the homeless guy in the fake waiter suit.” She chuckled at the memory. Debby: Don’t give up and don’t take anything personally—the good or the bad. Trish: Write the stories God gives you—don’t chase the market, because the pendulum is constantly in motion. I can hardly wait for my book to come. Where can my readers find you on the Internet? Thank you, Debby and Trish, for the fun interview. I hope you've noticed the recent change in the blog. I added the left sidebar where some of my friends can put cover ads. If you're interested in finding out more about the book, just click on the cover. The link will take you to a site where you can find out more and order the book. I am at the American Christian Fiction Writers national conference in St Louis. When winners send me your mailing addresses, I won't deal with them until I return on Monday. Some of the people who leave comments aren't in the drawing because they don't follow the instructions at the bottom of each interview post. Nethanael Richmond (NC) is the winner of Walking on Glass by Pamela Binnings Ewen. Edwina (GA) is the winner of Heiress by Susan May Warren. Diana Flowers (SC) is the winner of Pirate of My Heart by Jamie Carie. 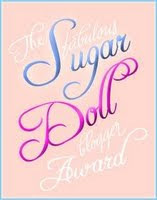 Jenny (NY) is the winner of Forbidden by Ted Dekker and Tosca Lee. The Schamel Family (CO) is the winner of Gabby, God's Little Angel by Sheila Walsh. Linda Kish (CA) is the winner of Love's Second Verse by Lee Carver. 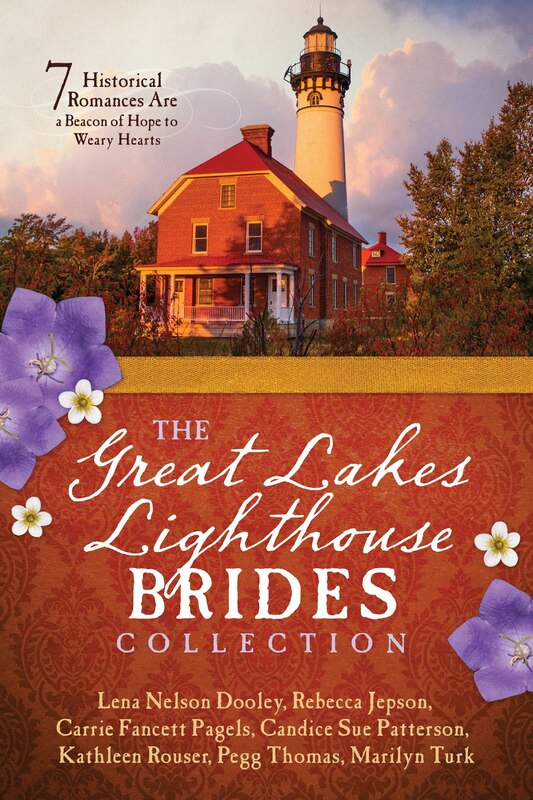 Faye (SD) is the winner of Tall, Dark, and Determined by Kelly Eileen Hake. If you won a book and you really like it, please give the author the courtesy of writing a review on Goodreads, Amazon.com, Christianbooks.com, Barnes and Noble, or other Internet sites.